I have done the first part of this Valentine’s series HERE. Check it out. This time I made it rather colorful nail art. And as always, white is a great color as base for nail arts. It makes other colors really pop. 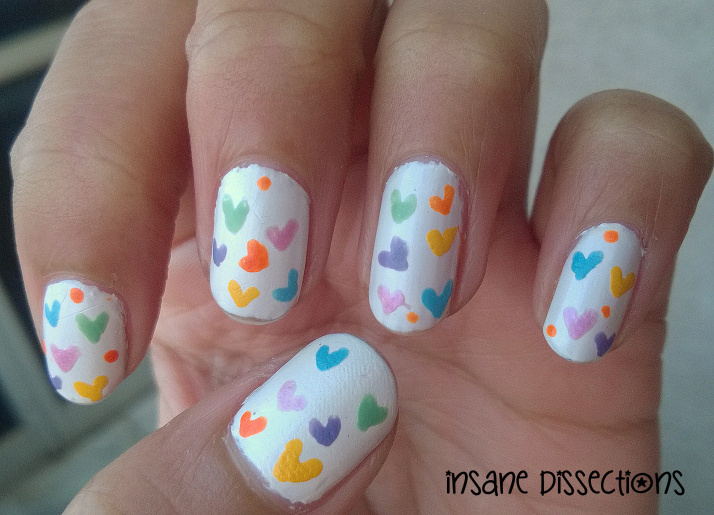 I wanted to make a polka dot kinda nail art and I thought how about tweaking it with little hearts instead. 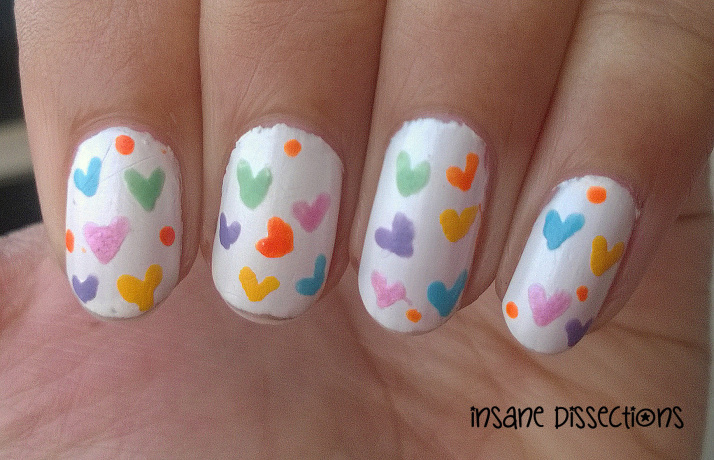 I have made the hearts using a dotting tool. I have done a tutorial on super easy way to draw hearts. Check it HERE. I have drawn the hearts here using the ‘v’ technique. 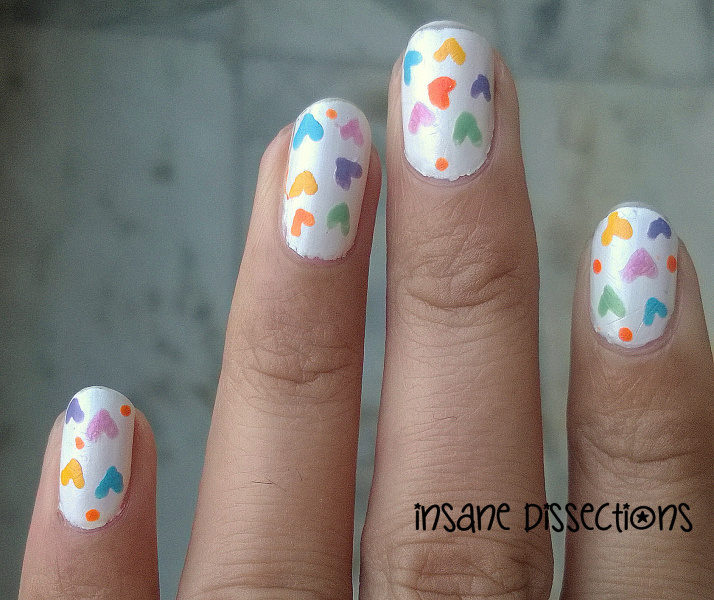 I wanted to keep this nail art soft and pastely, that is why I have used light colors. You can use any color of your choice.